As our Louisiana refugees from Hurricane Katrina can attest, what’s not to like about gardenias except for the fact that you can’t overwinter them outdoors in Northwest Arkansas? Like many plants in American horticulture, gardenia originates from eastern Asia, particularly warm temperate regions of China, southward, where broad-leaf evergreens thrive. The genus name Gardenia fortunately also serves as the common name for this evergreen shrub with, creamy white, single or double-flowered blossoms whose beauty is surpassed only by their intoxicating, heavenly fragrance. The delightfully-scented flowers are offered by florists in table arrangements, corsages, and boutonnieres. For the better part of two decades, I’ve had gardenias as container plants, bringing them indoors for the winter, taking them out in spring after danger of frost has passed. 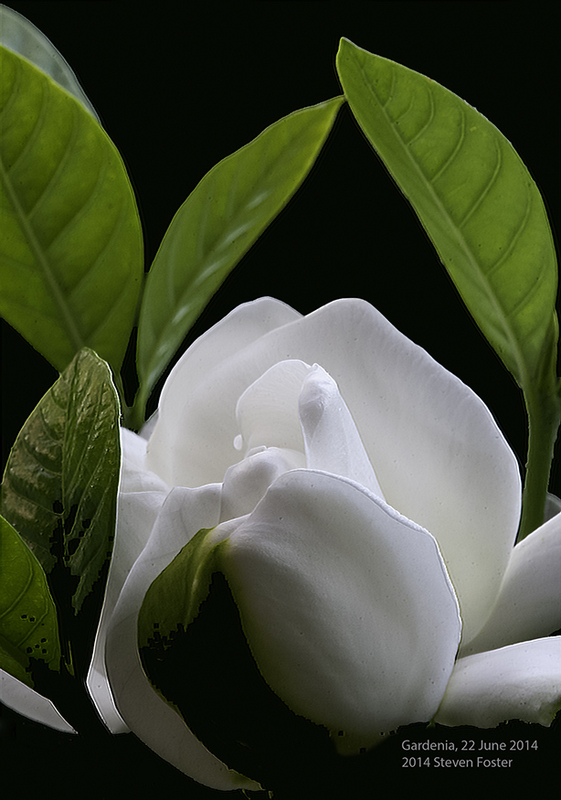 Photo gallery of single-flowered Gardenia from a plant grown from seed collected in the wild in mountains near Hong Kong. 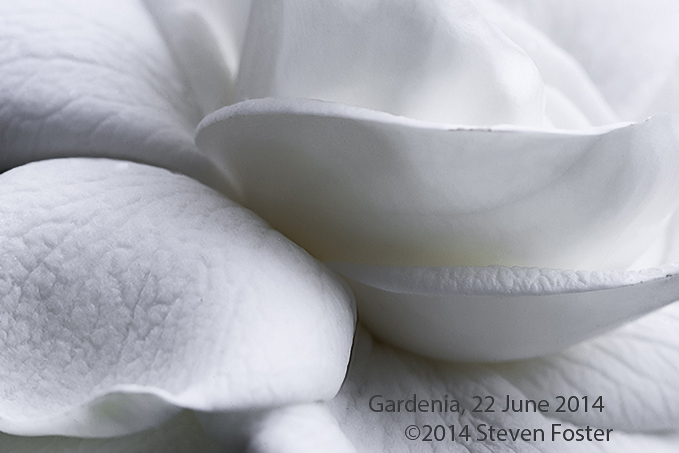 There are 200 or more species of Gardenia found in tropics and subtropics of the Old World. 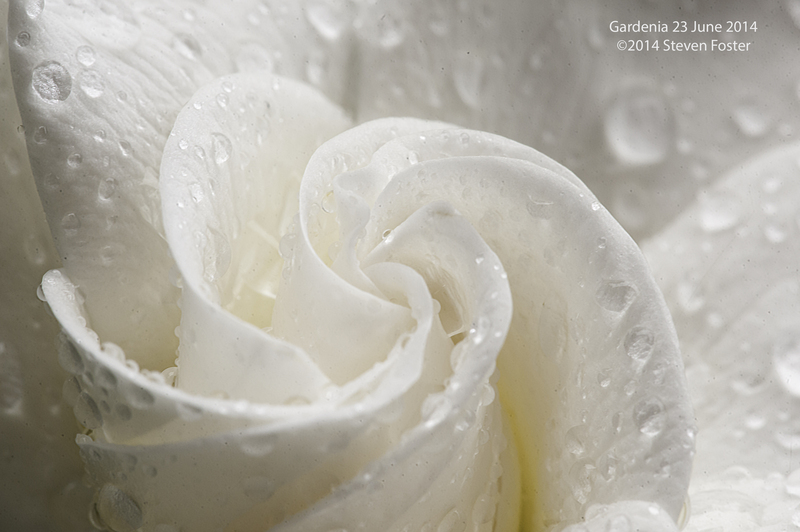 That which we grow is called florist’s gardenia or cape gardenia Gardenia jasminoides. The cape jasmine arrived in England in the 1750s, and was named in 1761. The name “jasmine” as applied to this plant comes from a painting by one of the most famous of natural history illustrators, George Dionysius Ehret. Ehret, unsure of the plant’s identity, labeled his plate “jasminum” with a question mark next to the caption. Since gardenia flowers superficially resemble those of jasmines (trailing plants of the olive family) it was given the species name “jasminoides.” Gardenia is named for a Scottish physician and naturalist, Alexander Garden (1730–1791), who settled in South Carolina in 1755. During the American Revolution he sided with the British. In 1783, after the war was over, his property was confiscated and he returned to London. The Chinese history of the plant dates back at least to the first century B.C.E., mentioned in the in the oldest Chinese herbal, Shen Nong Ben Cao Jing, attributed to the Divine “Plowman Emperor,” Shen Nong. The Chinese name, zhi-zi, applies to the plant as well as the dried fruit, which used in prescriptions in traditional Chinese Medicine for the treatment of jaundice, a use confirmed by recent research, that has continued for more than 2000 years.